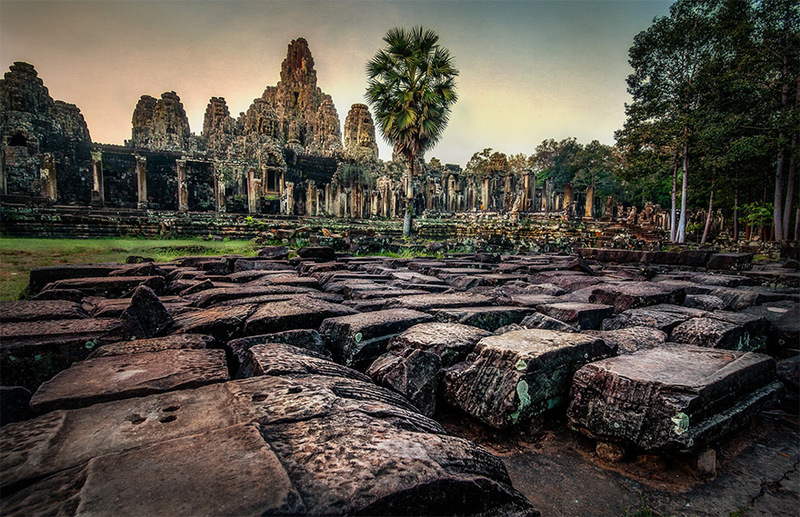 The following 35 amazing photos show the stunning beauty of the ruins of the Angkor Wat temple in Cambodia. 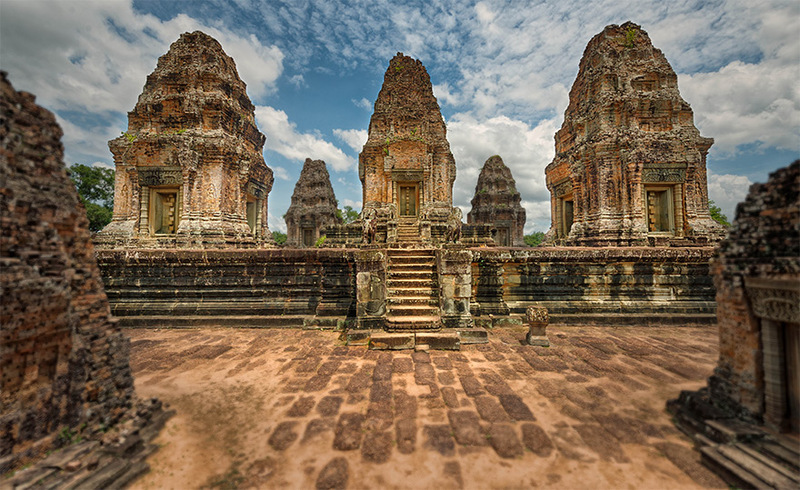 The temple was originally dedicated to Lord Vishnu. 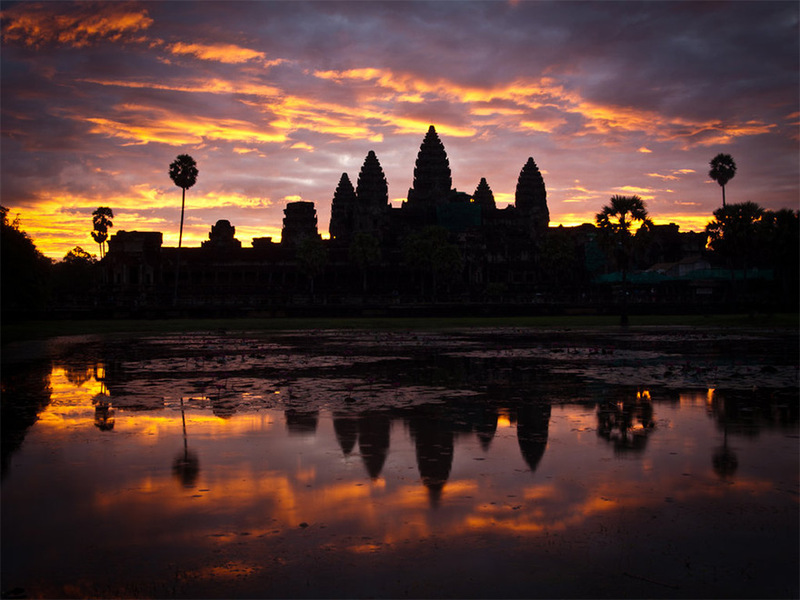 The modern name, Angkor Wat, means “City of Temples” in Khmer language. 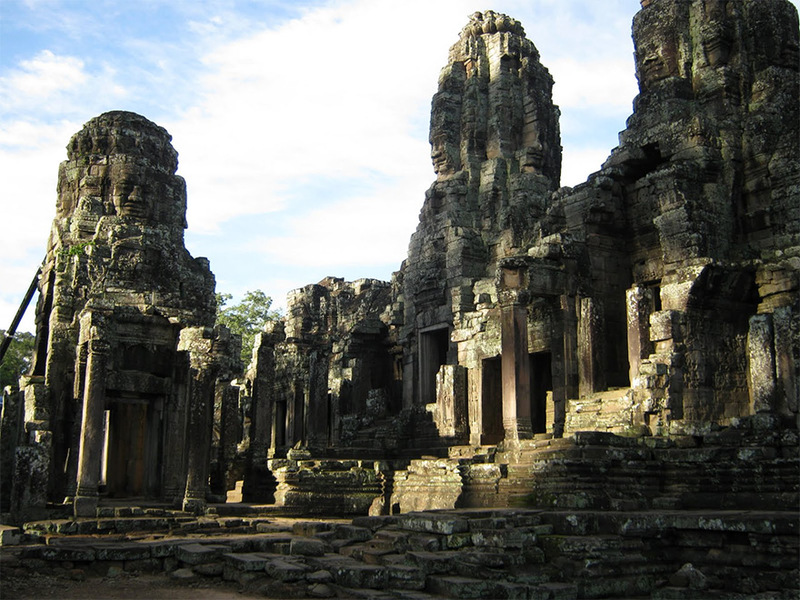 Angkor, meaning “city” or “capital city”, is a vernacular form of the word nokor, which comes from the Sanskrit word nagara (नगर). 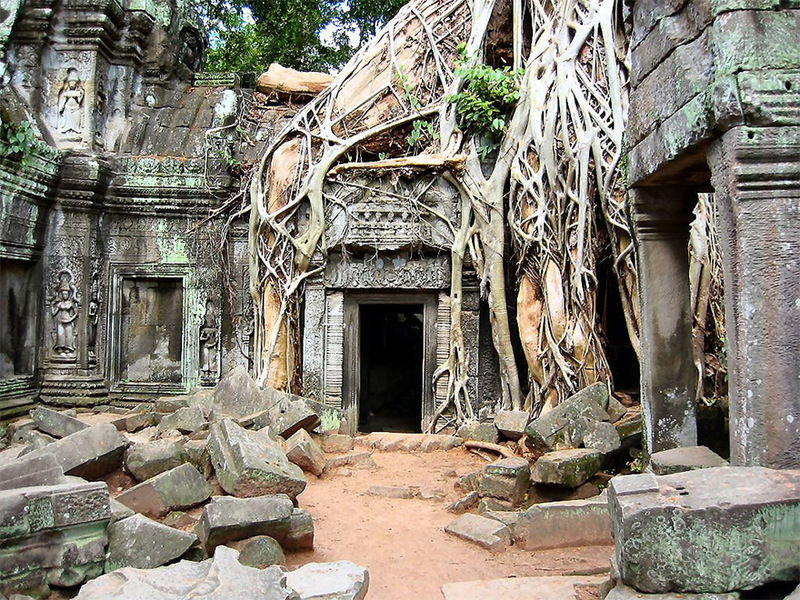 Wat is the Khmer word for “temple grounds” (coming from the Sanskrit word vāṭa (वाट) “enclosure”). In many places in the Puranas and Mahabharata there are references to the Kamboja dynasties. 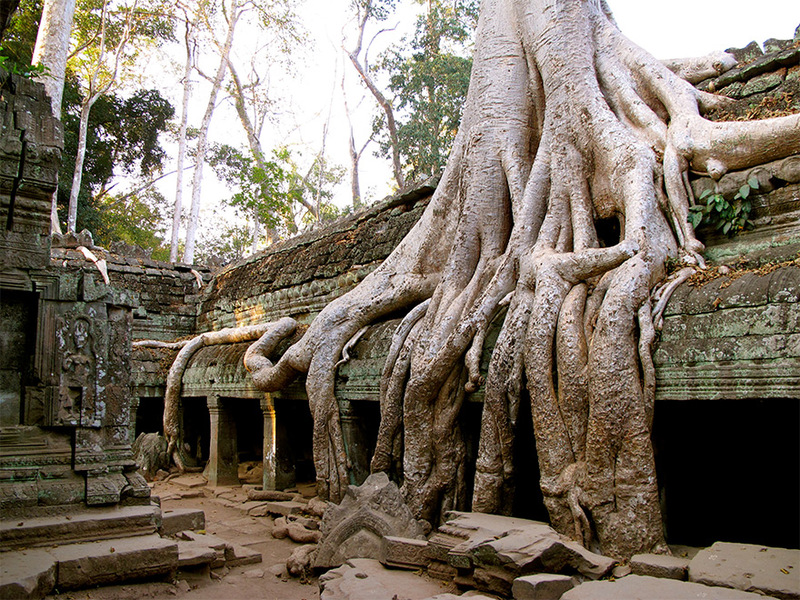 Cambodia’s ancient sanskrit name is “Kambuja” (कंबुज). 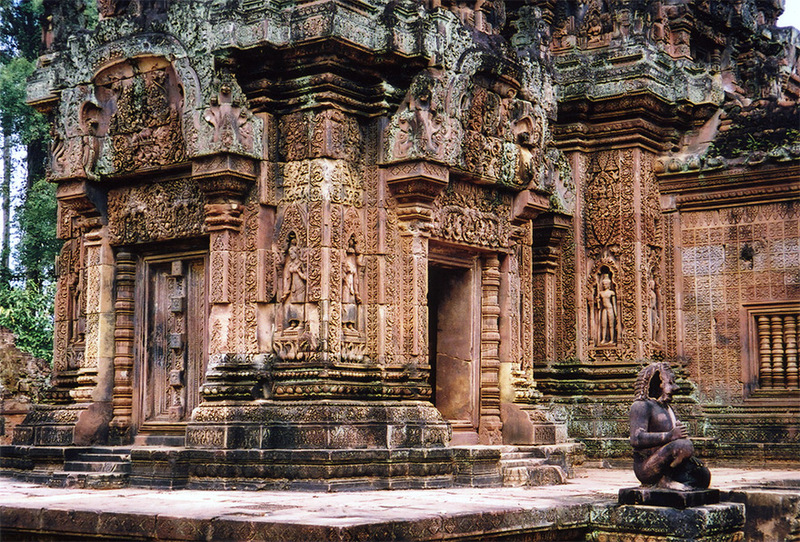 Later this was distorted into Cambodia. Yaska (an early Sanskrit grammarian who preceded Panini, from around the seventh century BCE) etymologizied the name as both Kambal.bhojah and Kamaniya.bhojah. 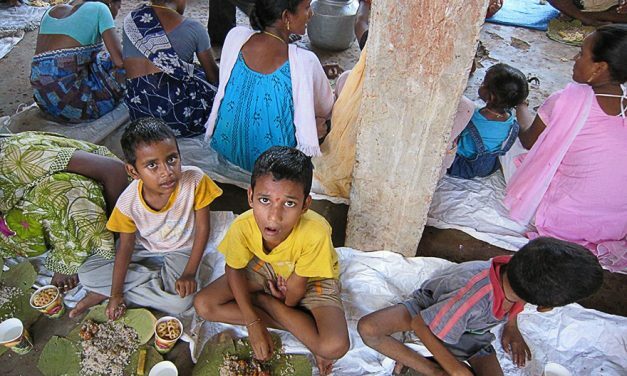 The Kambojas enjoy kambalah (blankets) i.e. 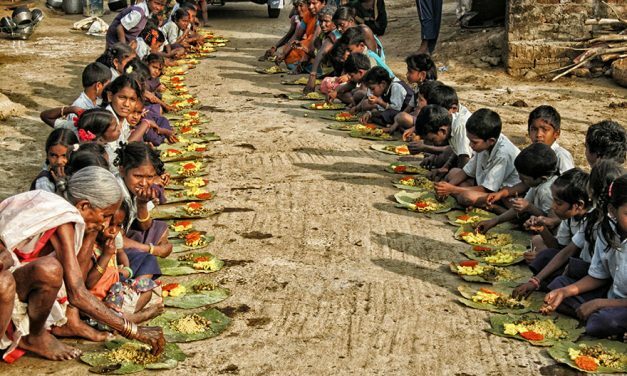 they are Kambal.bhojah, and also they enjoy beautiful (kamaniya) things, hence they are ‘kamaniya.bhojah’. Therefore they are called “Kambojas”. Panini, the 4th century BC Sanskrit grammarian, a native to Gandhara (present day Kandahar in Afghanistan), in his Aṣṭādhyāyī mentions many terms pertaining to the geography and ethnology of pre-Mauryan India. In his sutras (4.1.168-177) Panini references a number of Kshatriya janapadas and notes it as one of the fifteen prominent Kshatriya monarchies of the times. 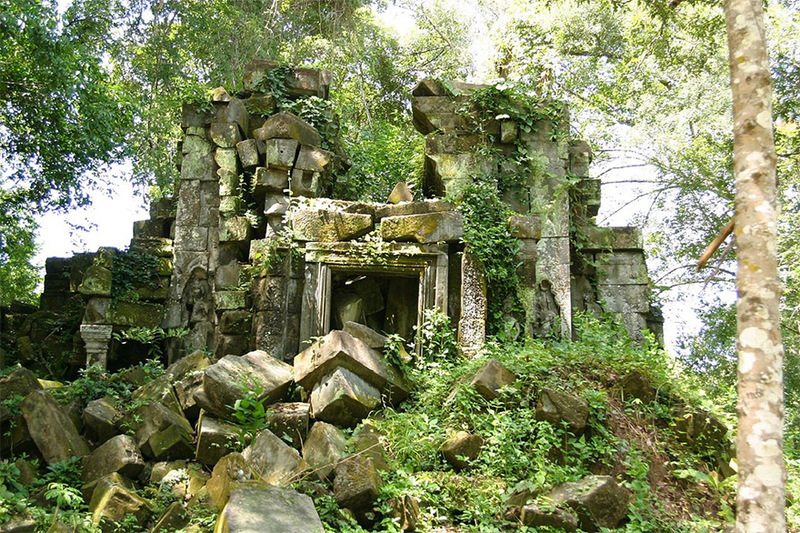 For more information on this ancient temple, please read the article The Lost Hindu Empire of Cambodia. PreviousThis Lion and Dog are Best Friends! 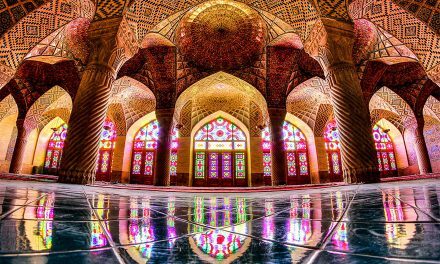 What Happens when Sun Light Hits this Mosque is Simply Amazing! 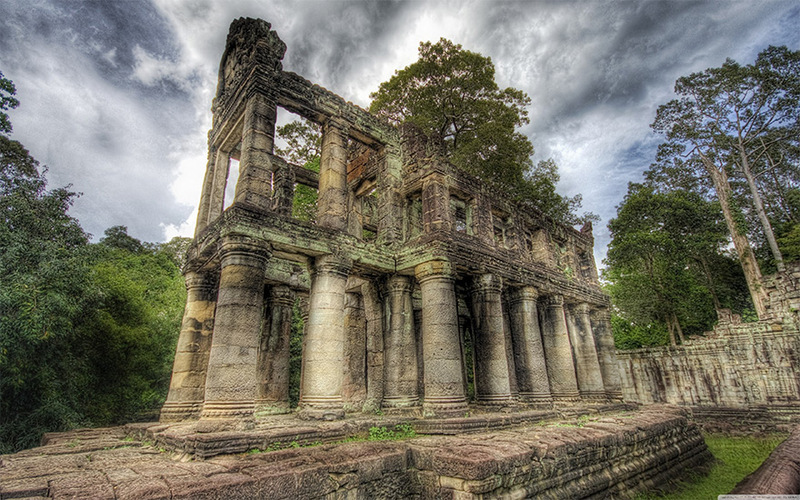 Good unbelievably temple of Vishnu . 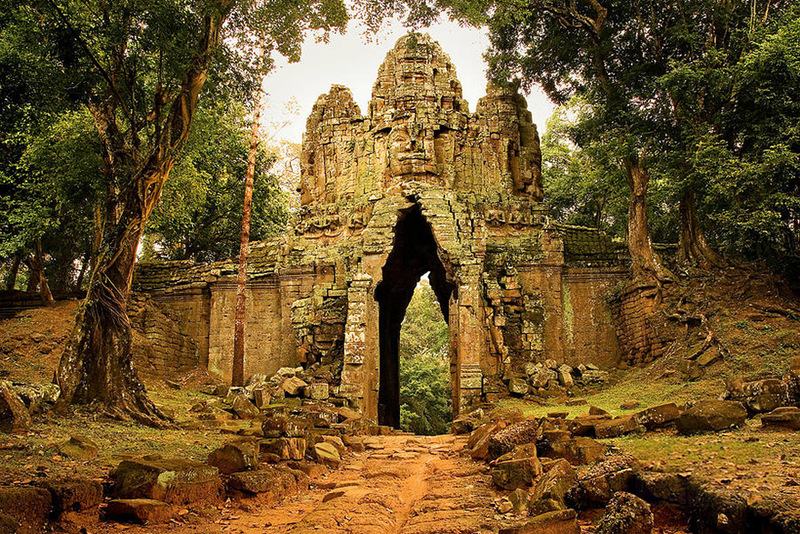 Need to maintain temple by government of Cambodia. Thanks to share people’s who love historic . place. 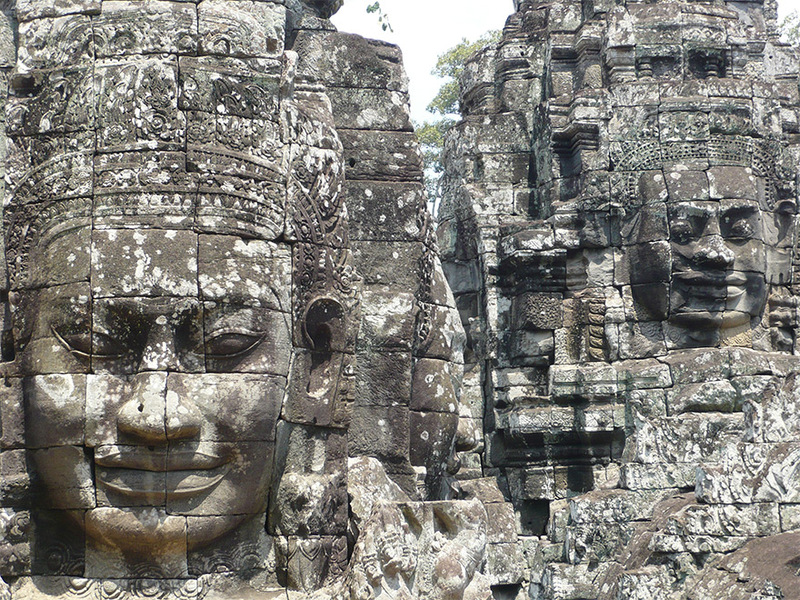 I had the privilege to visit Cambodia a few years ago. 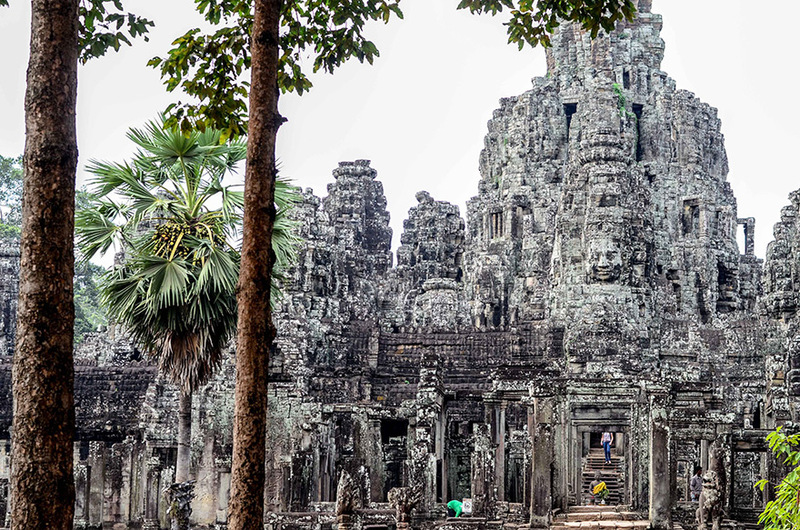 Angkor Wat and its neighbouring temples are a true marvel and testimony to the vision, creativity and devotion of humankind. 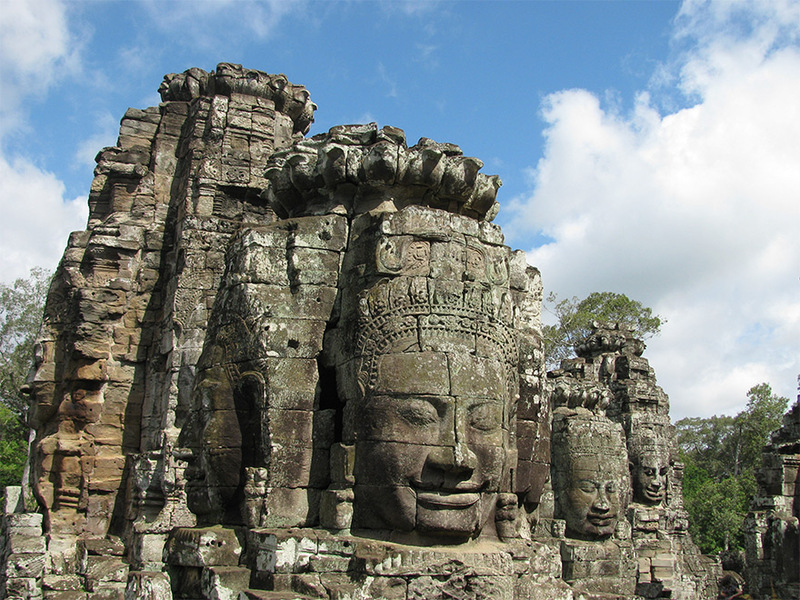 There is a towering and majestic standing statue of Sri Vishnu as we enter Angkor Wat temple. 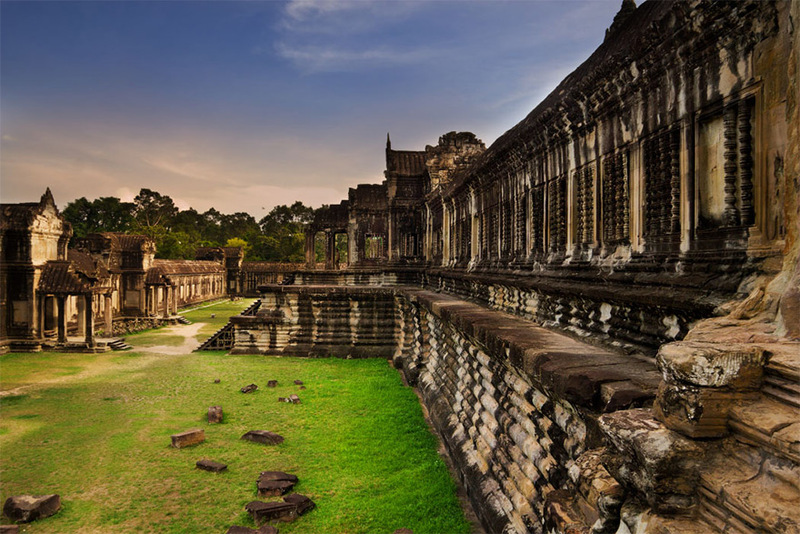 While a French archeologist and the French Government have been mainly involved in restoration of the grandeur that is Angkor Wat, it was with deep pride that we noted Archeological Survey of India actively involved in excavation and restoration of the temples in the area. Many of Lord Vishnu’s statues have been disfigured, changed to statues with two hands to try and transform Him to Lord Buddha. Most of the statues of female dieties have been destroyed. There are no lamps or candles to offer, although a few Cambodian women have set up stalls within to sell offerings of incense and fruits. 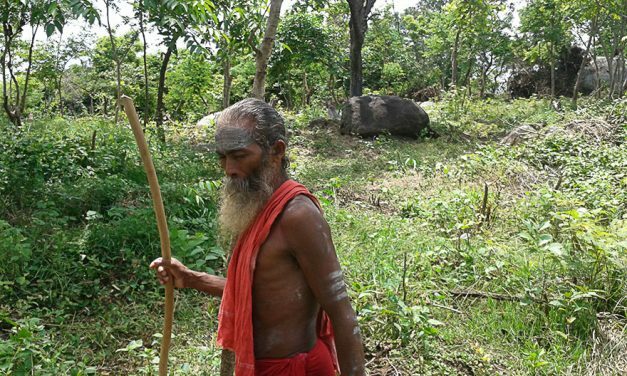 It is truly a unique and transformative experience, the locals are humble, self aware and take greate pride in their spiritual traditions. 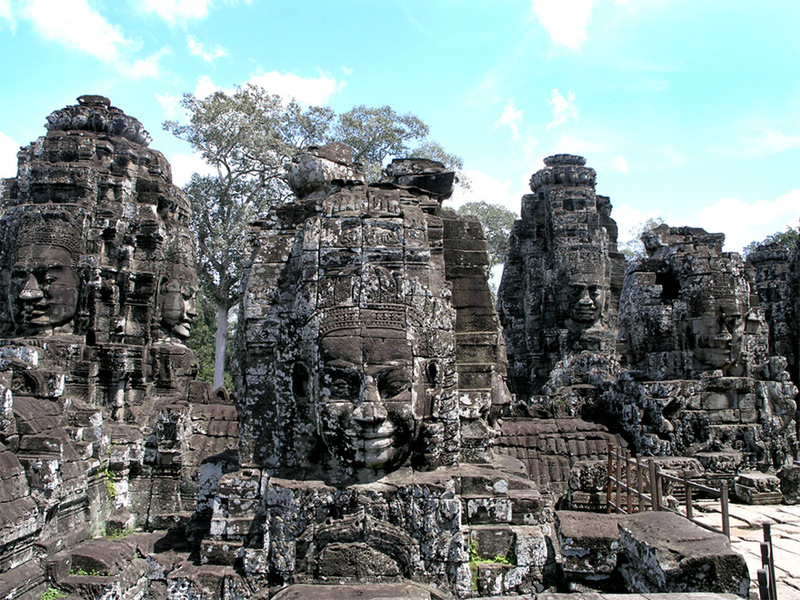 No religious structure in the world, past or present, is as large as Angkor Wat. Yes… Maharaja Yudhistira was Emperor of the Earth at the time of Kurukshetra battle…… and everyone knew of Lord Vishnu….. So, will there be an article showing the connection between King Ravana and South America? ?…… we already know about the Sri Lanka connection…. Many thanks on all your fine articles….. very enriching for the mind and soul. nice photos try to maintain, by native for next generations. Amazing pics…. tells a lot of stories…. It’s breathtaking. 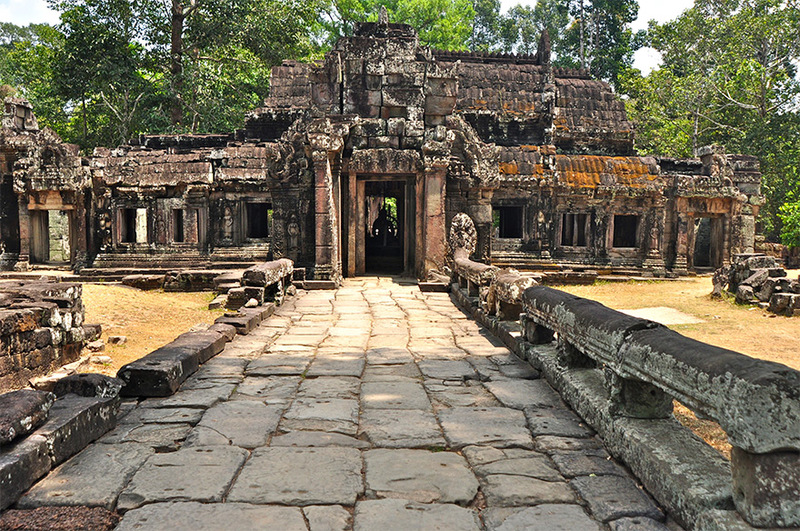 Would be wonderful if they were restored and back in use as operational temples, complete with a priest. 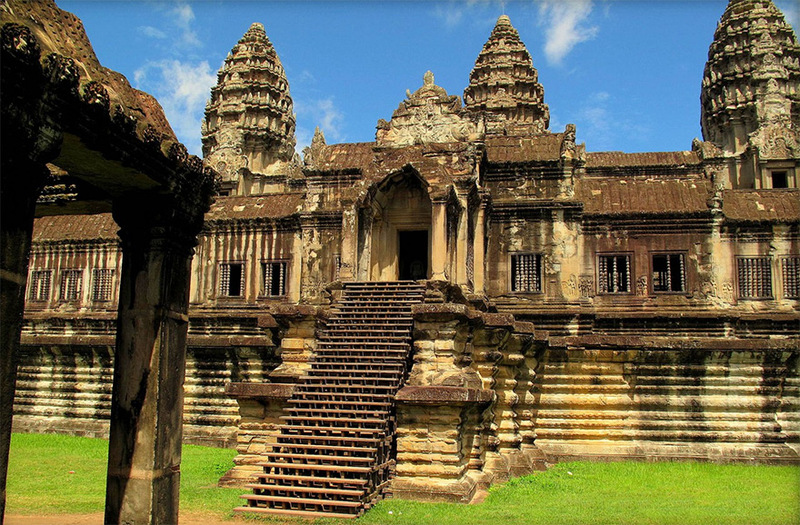 I was in Cambodia 1955-56 for a year whilst serving in ICSC Cambodia. Old memories are refreshed. Tears gathers of sweet old memories and about m y old friends. 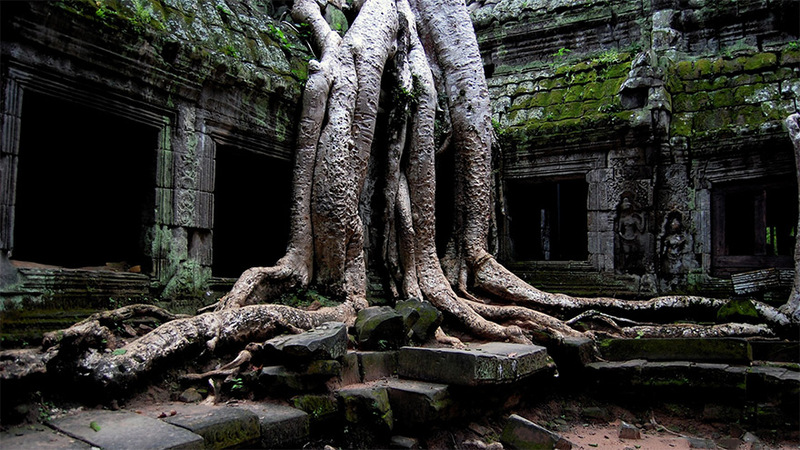 Root sanskrit terminoligies for the present names are well mentioned. Ancient related history is also well mentioned in the earlier article and in the present one also, I wish Govt of India must help in restoring the beauty of this ancient historic world famous temple. Vishwa Hindu Parishat also can do to make a representation to Govt of India. This will also improve political relations between two countries also. Very beautiful temple of LORD MAHA VISHNU. Wonderful. Will b happy to see the installation of Idols and consecration taking place with the assistance of the present BJP government and also to hear the vedas inside the sanctum sanctorum. This temple is very beautiful and majestic symbol from Dvapara-yuga. This is breathtaking! hope they maintain it and let the world see it! 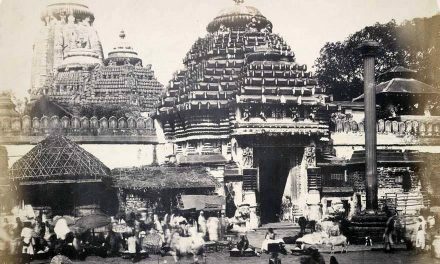 Such temples can be rennovated by TTD to develop hindu culture and mythology. 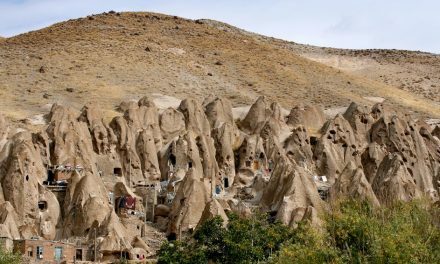 Even they can keep a pujari with the permission of Combodian government to attract tourists from all over the world. 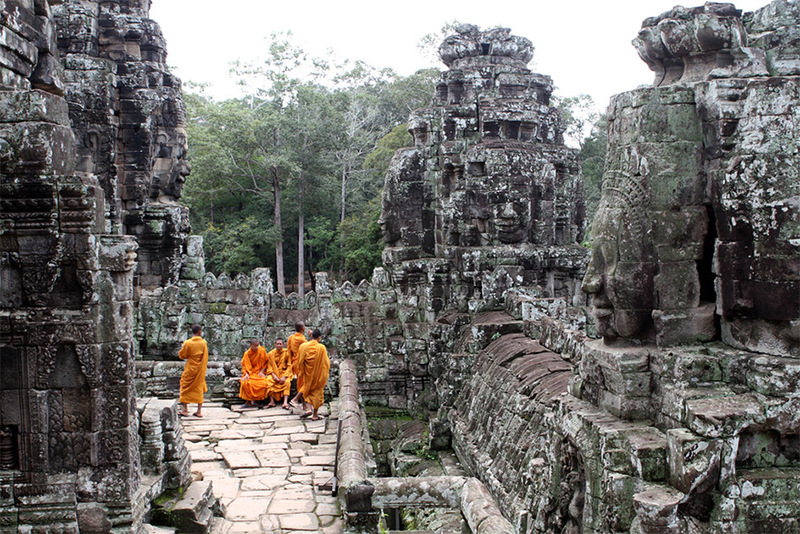 I had the honour of visiting the Angkor Wat as well as other Hindu temples in Cambodia. 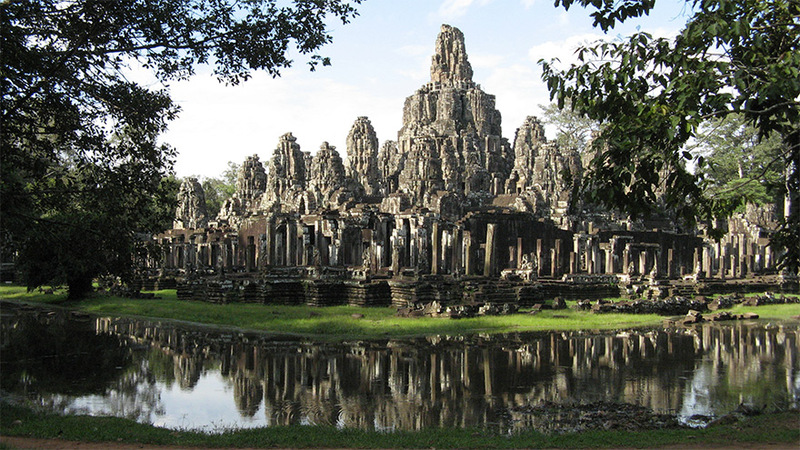 Apart from this temples, there are 5 other temples in different areas of Vishnu and Lord Shiva. They are ful of best carvings. 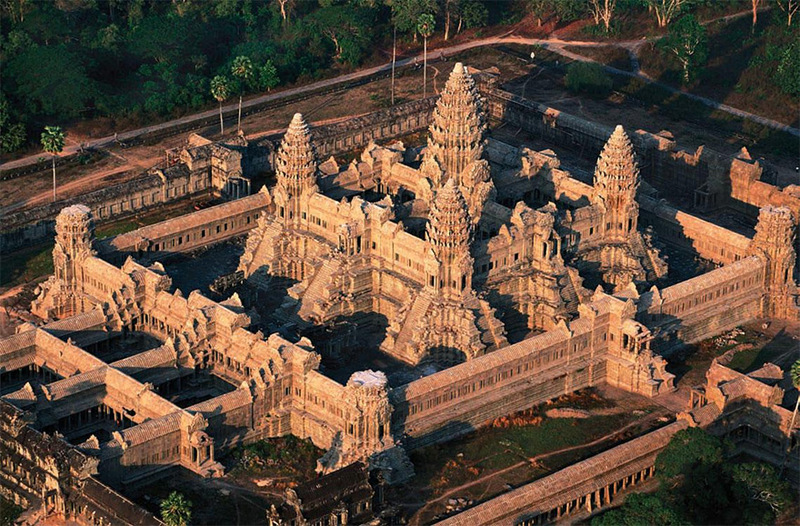 Angkor Wat is gigantic with seven levels of compounds wall and the main temple in centre on th top. The most marvelous is the display of Ramyana and Mahabharata stories as stone mural on 4th level compound on a wall of about 100 m each on both sides of the entrance to inner layer. Pl. 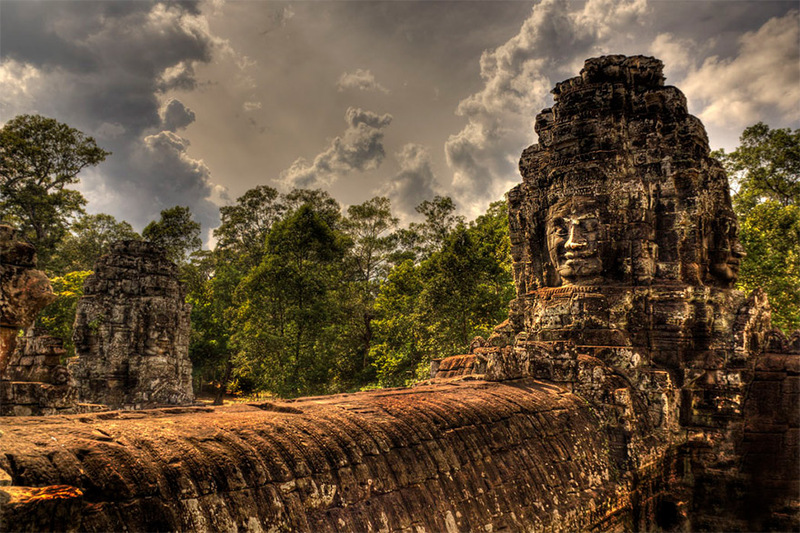 note it was built in 12 century CE by king Jayavarman, however later converted to Buddhist temple with idol of Vishnu removed and replaced by Buddha when Cambodia turned buddhist in about 15th century CE. 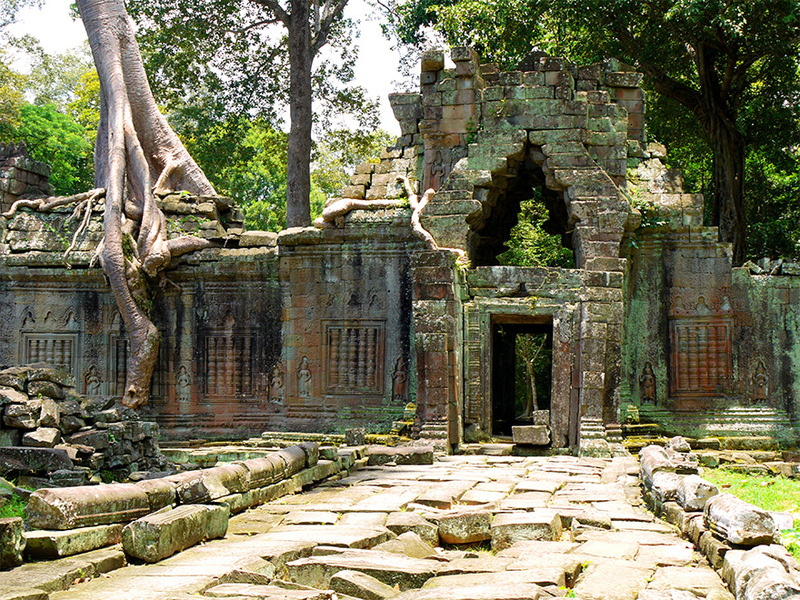 However royal families of Cambodia and Thailand follow Buddhist religion mixed with Vedic concepts, prayers and offering to Vedic gods. 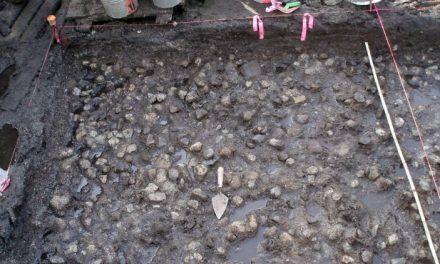 Like the olden Vedic kings, they still start ploughing season with the king starting it with a golden plough( Sita was discovered by King Janak when he was doing this auscpicious activity). 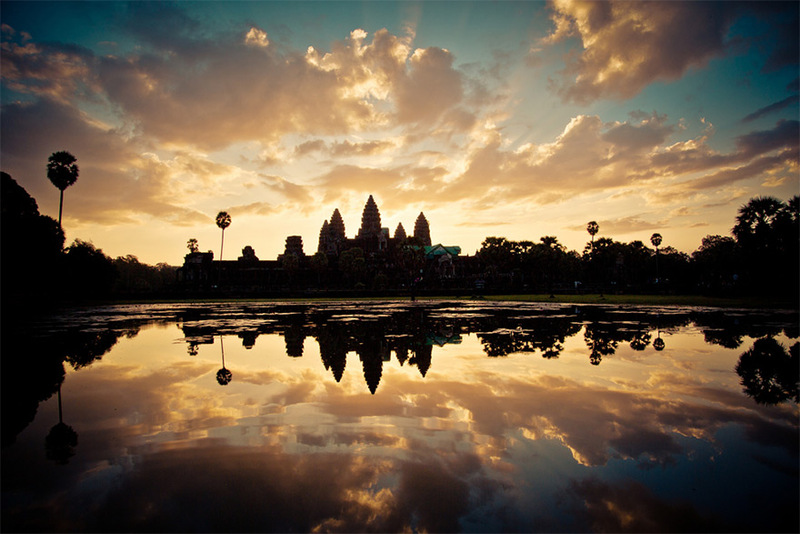 There is no other single temple or religious place of any other religion as vast as this one in the world. 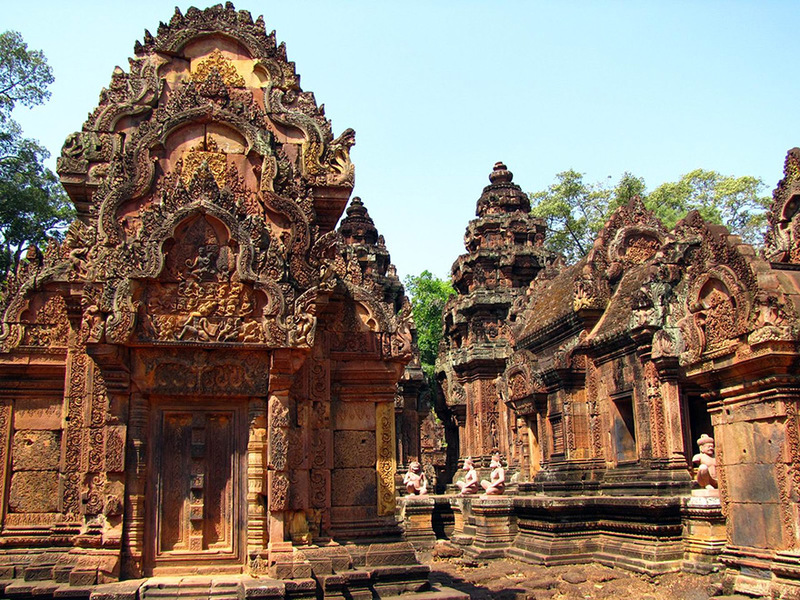 I request all capable Hindus who travel world around, to go to this cheap destination of Cambodia. 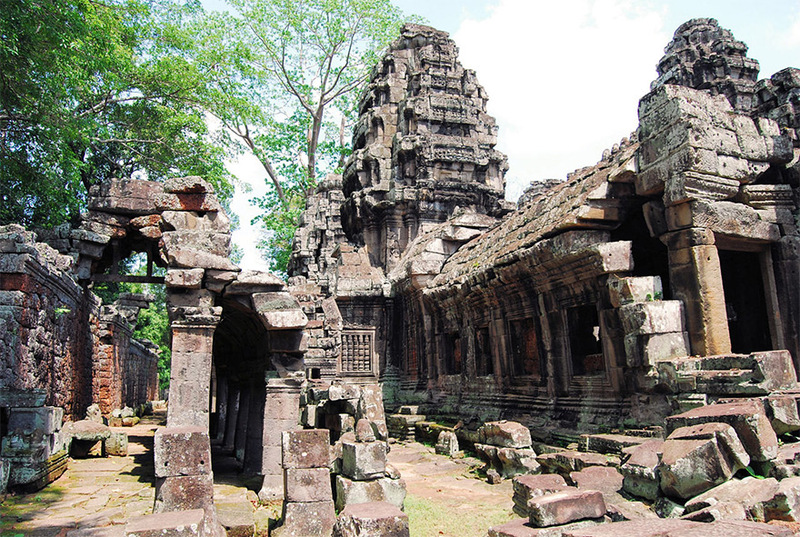 It will inspire the Cambodians to manage and preserve this great Hindu heritage. Seeing this does give pride to our Hindu religion and the might it once had. 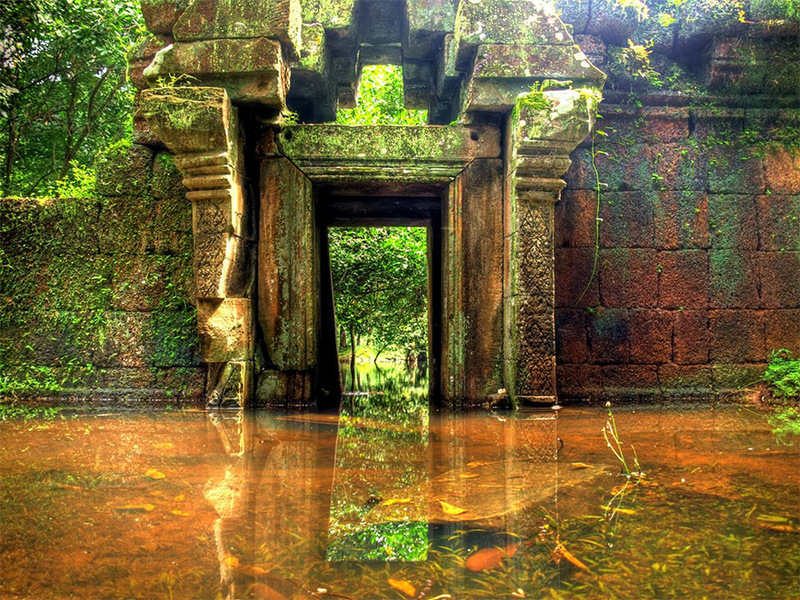 so beautifull ..great thanks for the person who shared this ..
TTD has very good resources which can be utilised to restore the temples in Cambodia and to start daily pooja in these temples. 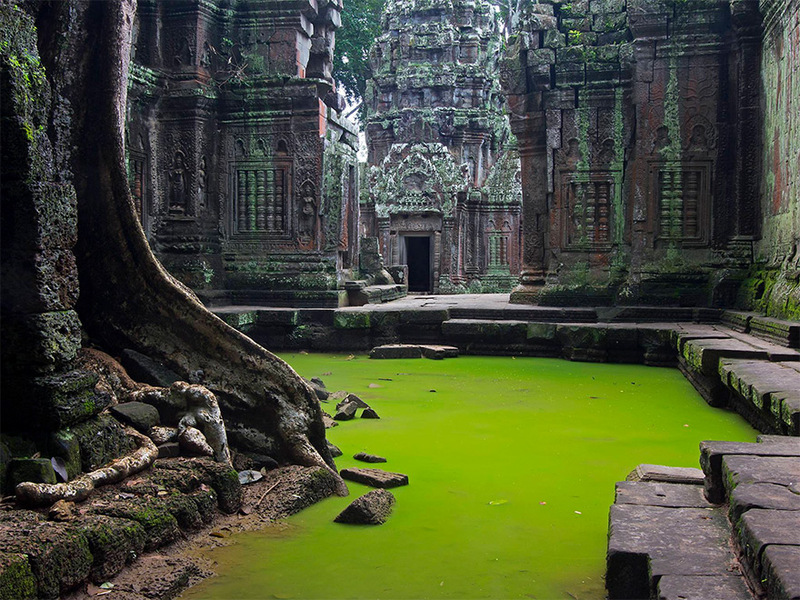 after all these temples are ours and reflecting our culture. 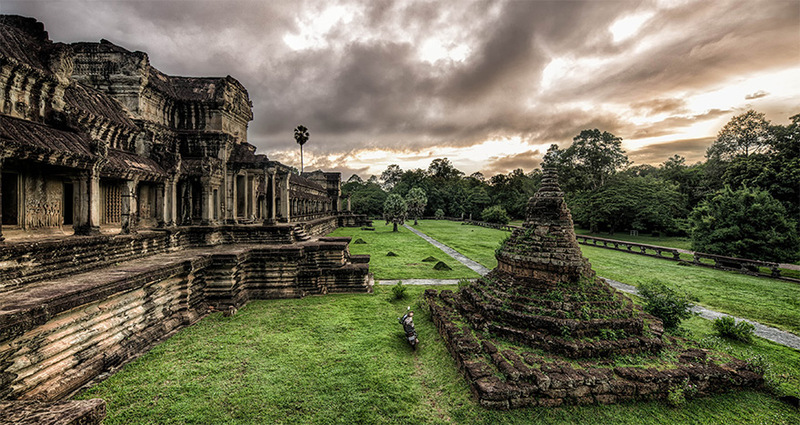 Moreover, Buddhism also originated from our great country. 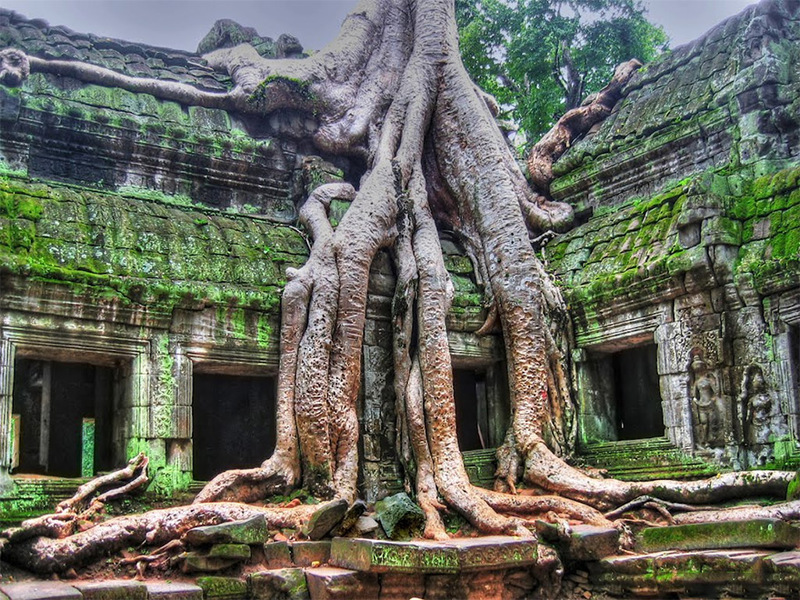 Amazing pictures.Blessed are those who have visited this place. They should be protected and restored to their original shape. 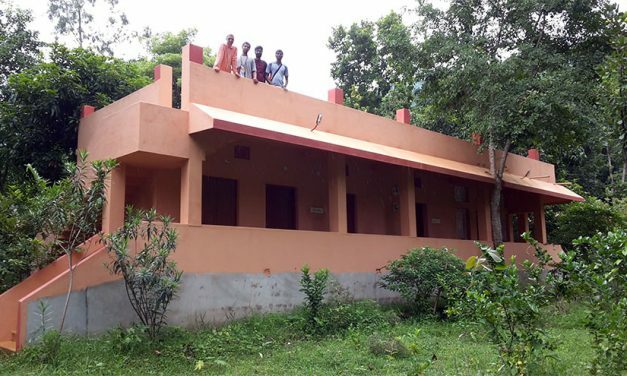 If the Combodian government gives the control of this to a private company for the restoration and development of the area with a view to increase tourism especially Hindus from around the world in large numbers, it can be very beneficial to Combodian and regional economy. Everyone should visit once atleast these kind of places! God created nature is so beautiful. God is great! 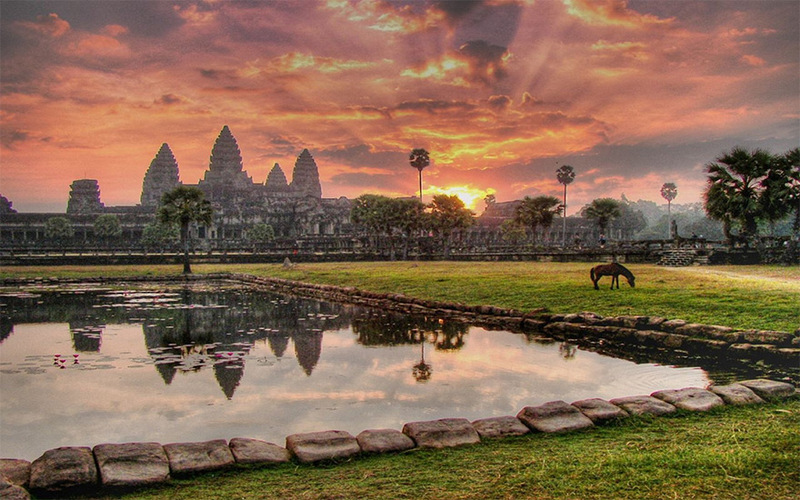 Great pictures of Angkor Wat. Thanks for sharing. Who is to bell the cat? Some good suggestions are made in the above comments. How to bring it to the notice of present Indian Govt. 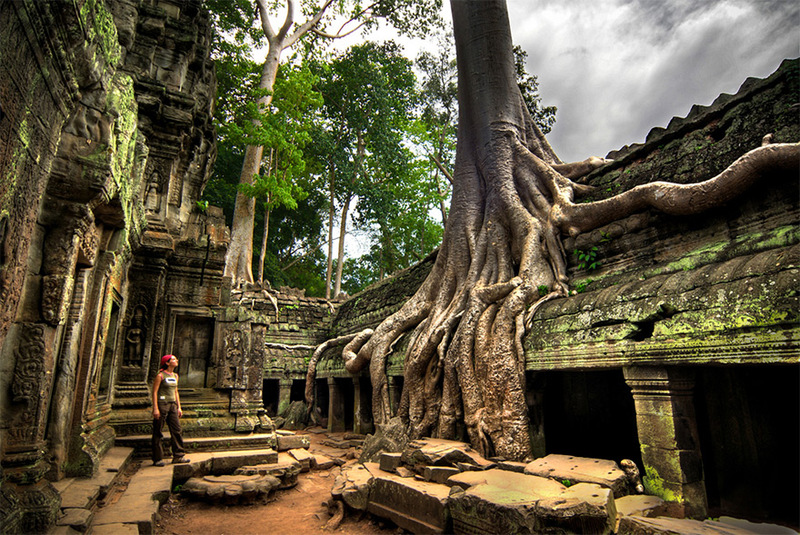 (1)Cambodian Govt can invite private investors for development this famous temple. 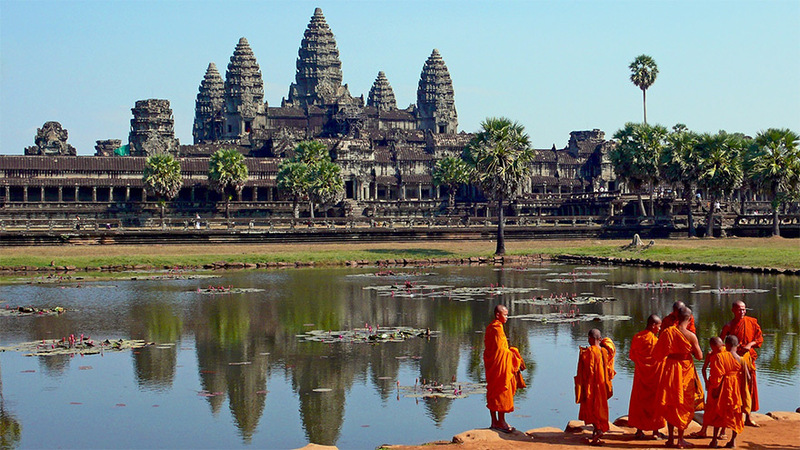 (2) VHP which is very much interested in Indian culture can proceed in the matter with Indian and Cambodian Govt. 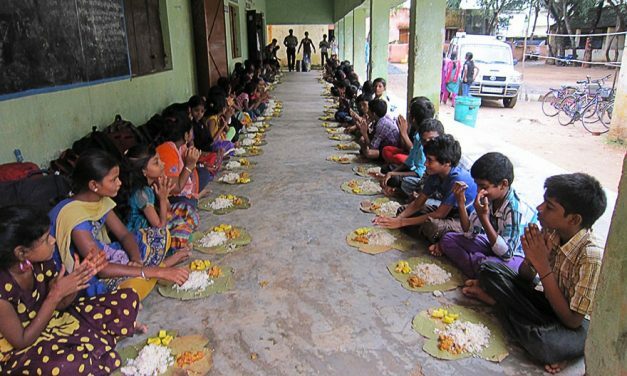 (3) TTD can really take interest in the matter, who have no dearth for investment. (4) Indian Govt external affairs Ministry can also take interest in this matter. (5) Mr Narendra Modi may be tweeted directly. To know the real Meaning of “Amazing” …. watch these photos. This is simply Amazing !!!!!!!!!!!!!!! 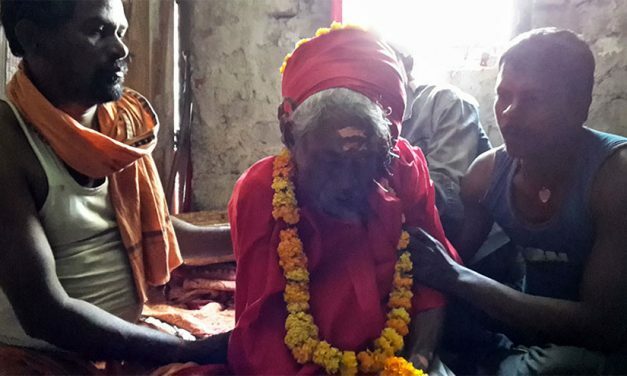 All the fools who discard Hinduism should open their eyes. Amazing pictures. I wish to visit and prey with aart-naada attempt there to be intune with infinity. 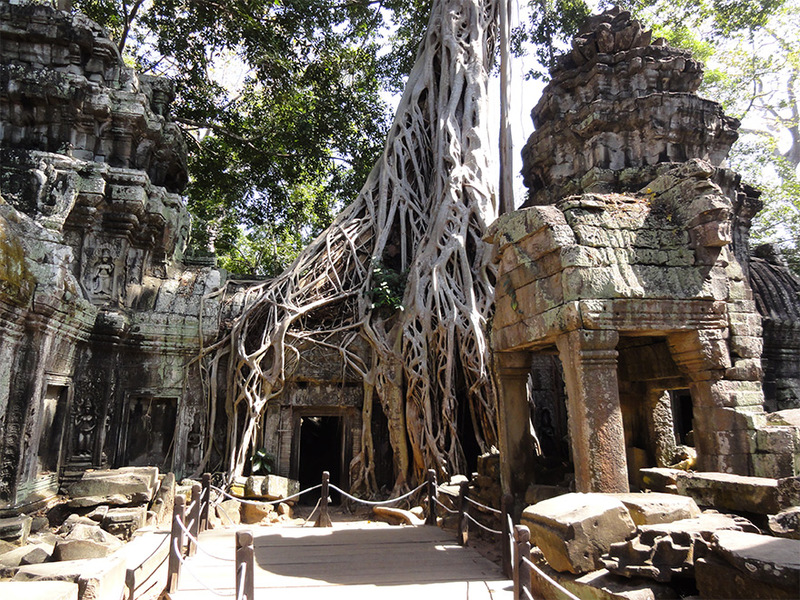 Kindly share your experience of travelling to Cambodia/Angkor Wat, especially climate, safety, Connectivity from India/Chennai etc. 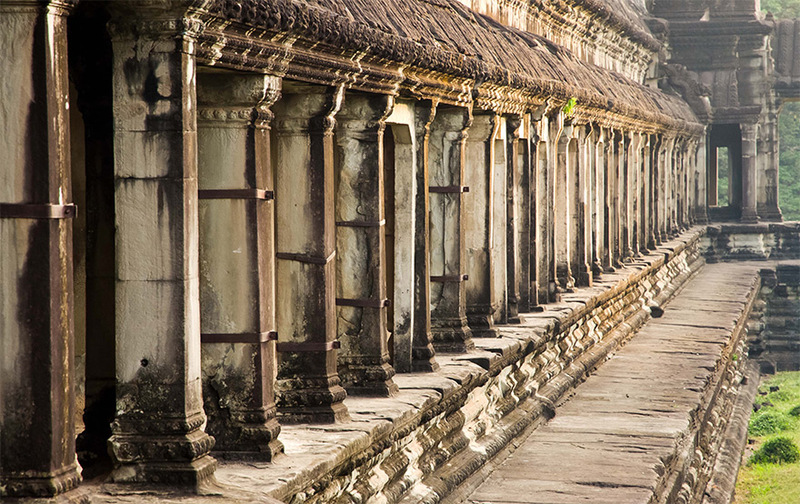 ​The Archaeological marvel that this Angkor Wat is. It shows, “How developed were ancient Hindu scientists”? Wow!!! the place is awesome and i wish u would have added more history about them!!! Excellent depiction of vintage temples take us long long away in the past with lots of imagination.Once we think of that age and the technology available with the builders, we get amazed.Sitting at home we could see all these old temples. Thanks to the photographers.